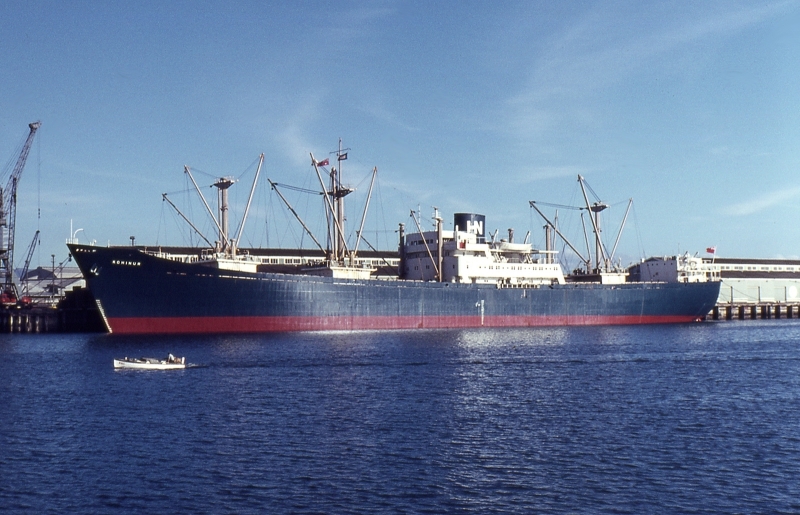 Hain Nourse' 1963-built cargo ship "Kohinur" alongside at Berth No. 12 Port Adelaide. Later "Strathnairn", "Silver Gate" & "Antilla".